Tracy, aka Sandhill Tracy, is a 2-year-old small white-ticked with black female born July 24, 2000. 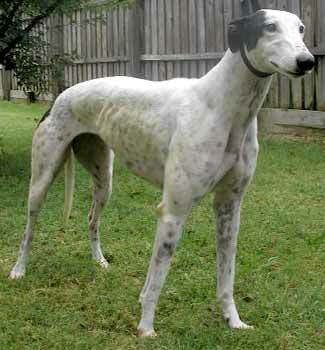 Her racing days at Mobile, Alabama were short ones, so she is ready for life as a companion pet! 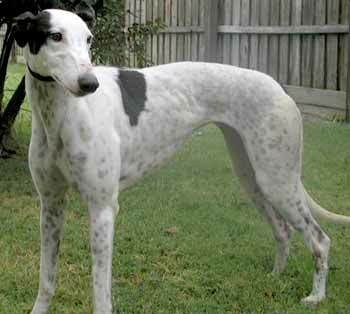 Tracy is well natured and playful. It has not been determined if she is cat or small animal friendly at this time.